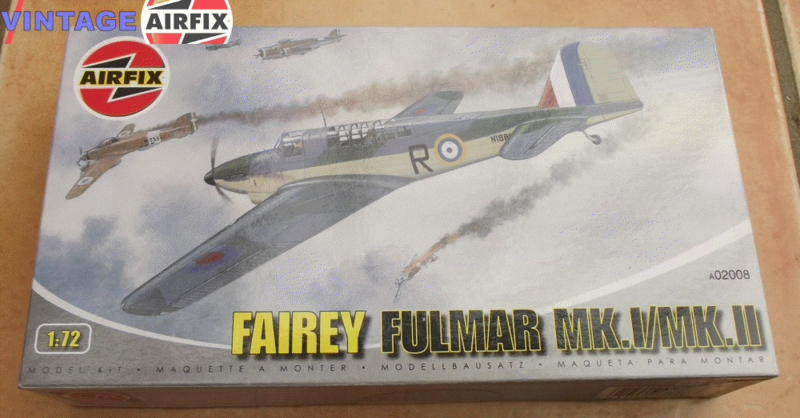 The Fairey Fulmar was a carrier-borne fighter aircraft of the Fleet Air Arm (FAA), serving in the early years of WWII. A total of 600 were built during 1940/1941. Although inferior to land-based fighters at the time it was a reliable, sturdy aircraft with long range and an effective eight machine gun armament.